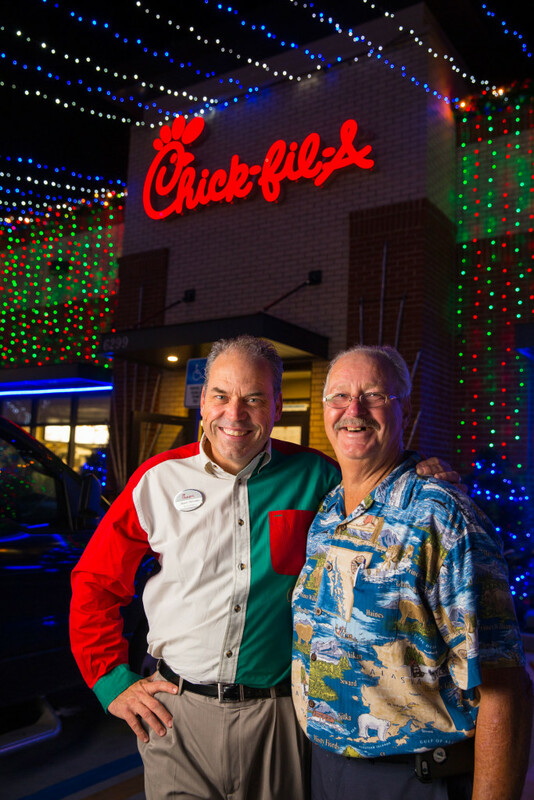 For those who live in Tampa, Fla., traveling down Waters Avenue for the annual array of Christmas lights that illuminate the outside of Jason Dittman’s Chick-fil-A restaurant is an institution. 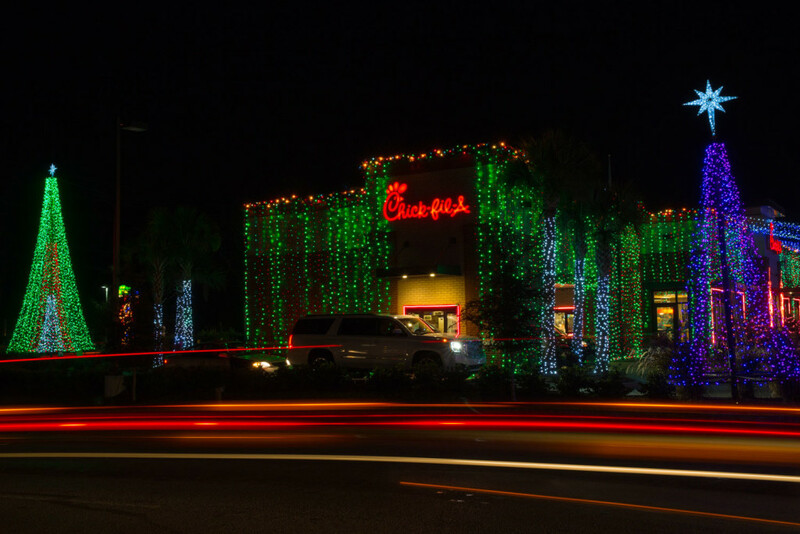 While some call it a magical interlude before enjoying their favorite Chick-fil-A dinner, others simply call it tradition. 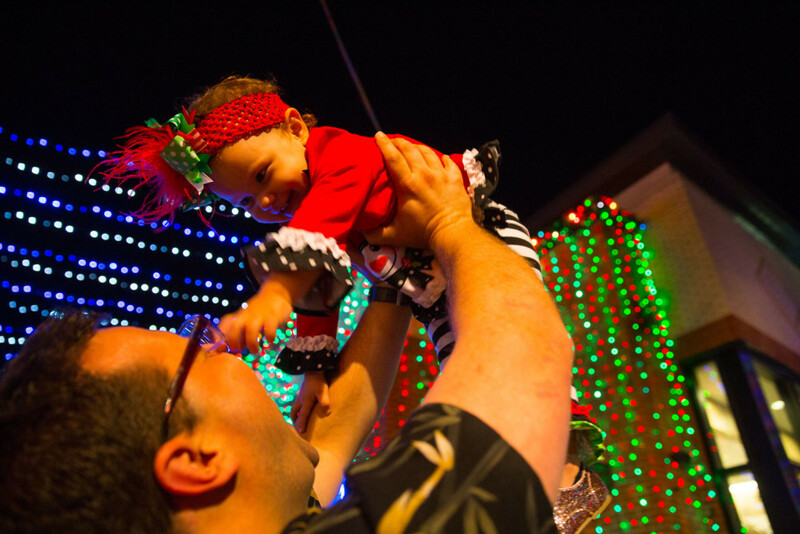 As the Tampa Bay Times reports, it all started with one Christmas tree on the roof. 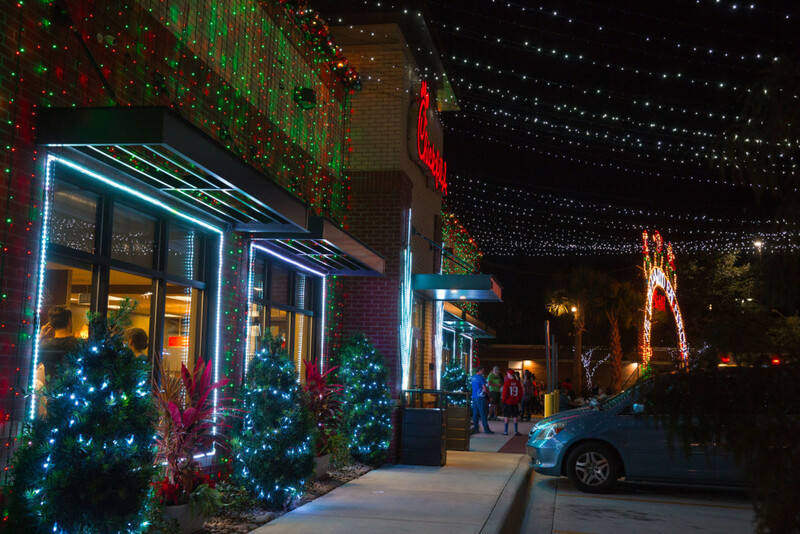 After opening the doors of his restaurant at 6299 W. Waters Ave. in Tampa, Fla., 18 years ago, Dittman decided he wanted to do something festive for the holiday season. 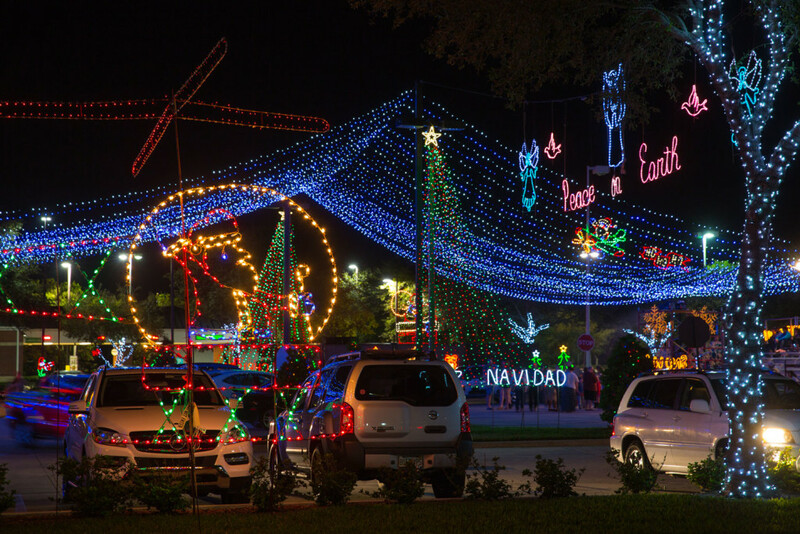 It started when he enlisted the help of his father to install a few lights and a Christmas tree on the roof. 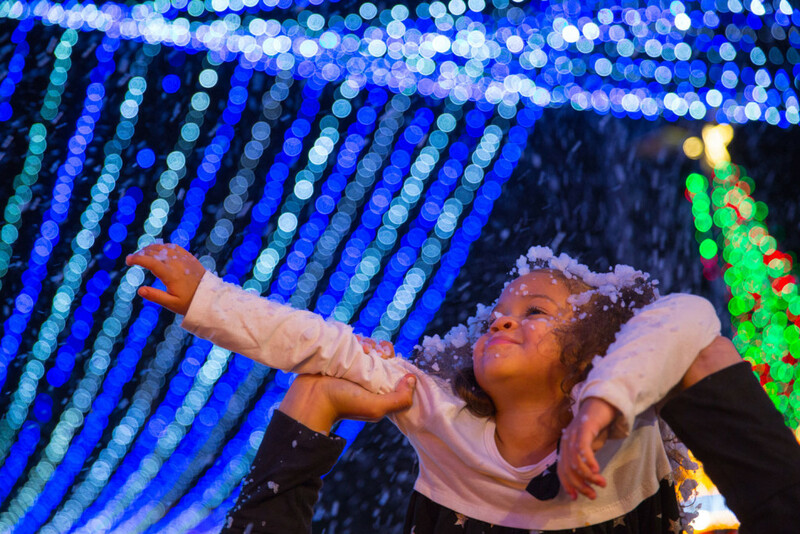 But it wasn’t long before the display of one multiplied into something far more magnificent. 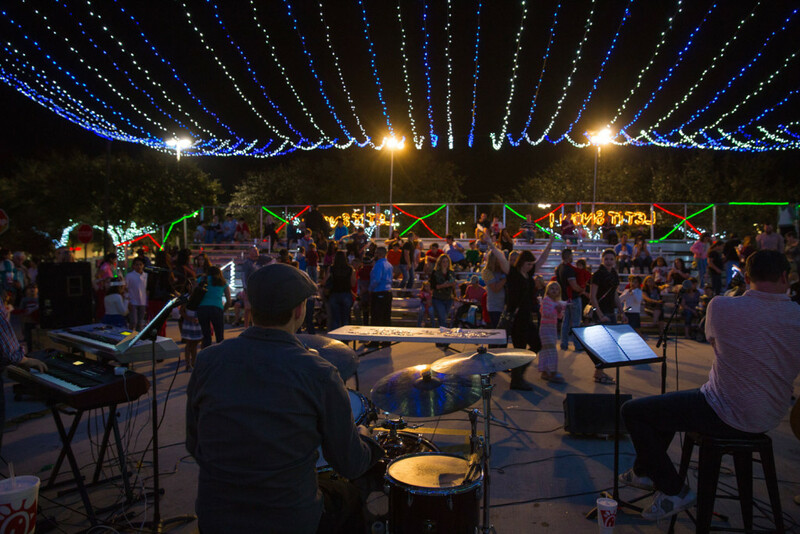 Dittman’s personal challenge to reach one million lights places him in good company. 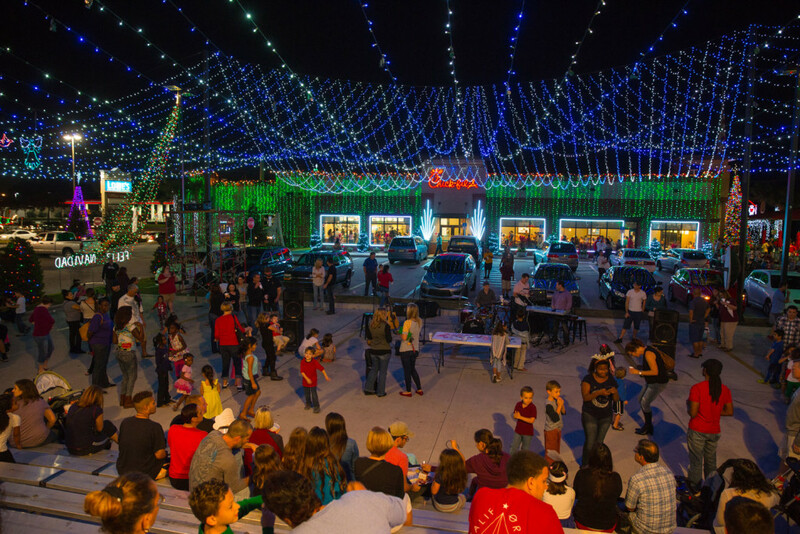 Fellow owner-operator David Jackson in neighboring Hoover, Ala., is also known for spreading Christmas cheer by building a giant light display. 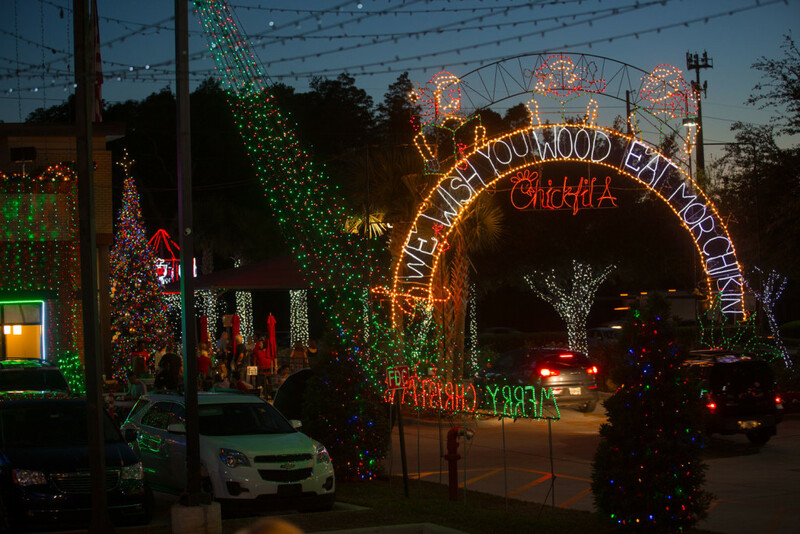 Experiencing the lights isn’t reserved for the drive-thru, this is Florida after all where the average December temperature hovers at 73 degrees. 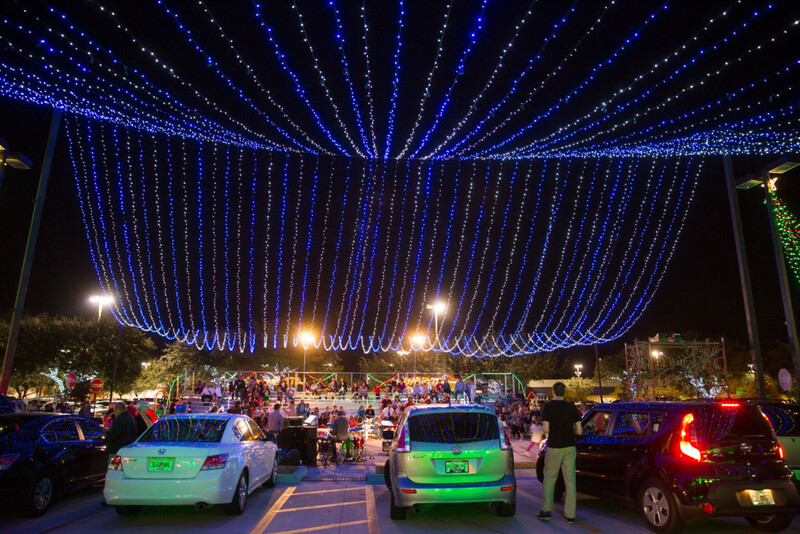 Set to a radiant backdrop, spectators are invited to lounge on bleachers to take in the added sights and sounds of elementary school chorus concerts, movie nights, and a plethora of other festive outdoor events. 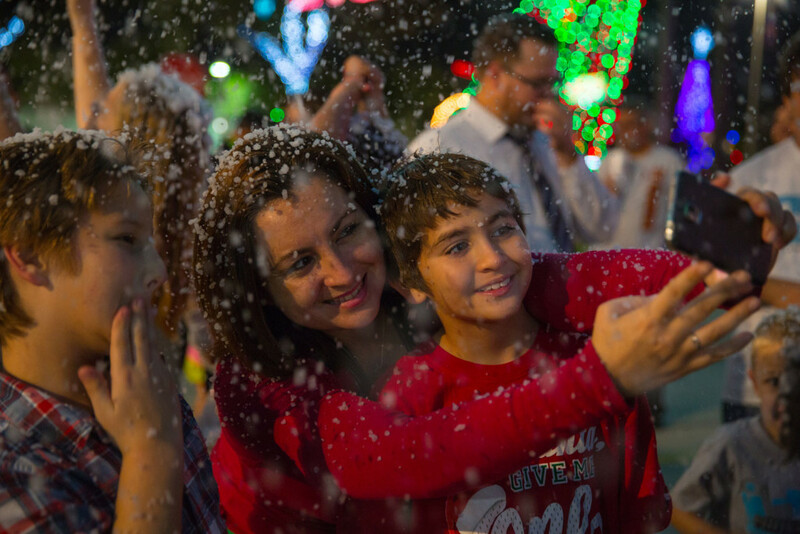 Every holiday season, one local restaurant in Tampa Bay becomes much more than a dinner destination. 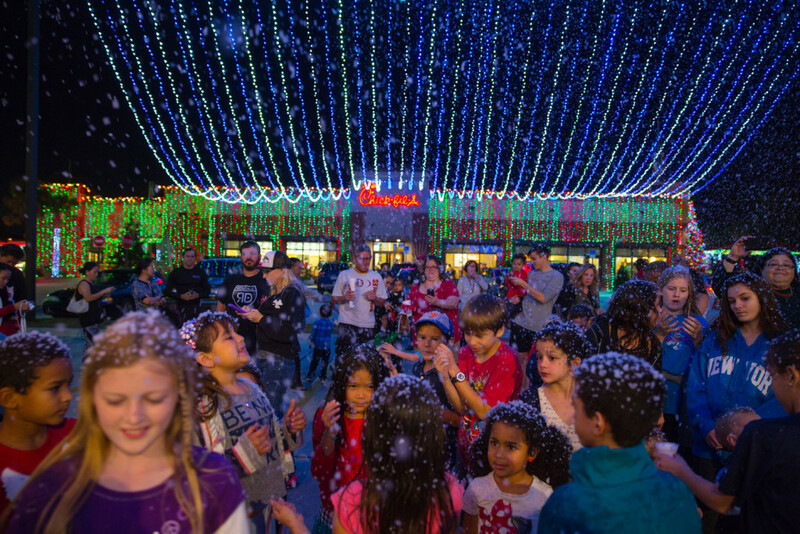 In fact, it becomes a full-fledged winter wonderland, proving that temperature is no match for a dedicated Chick-fil-A Operator’s holiday spirit and a couple billion artificial snow flakes. 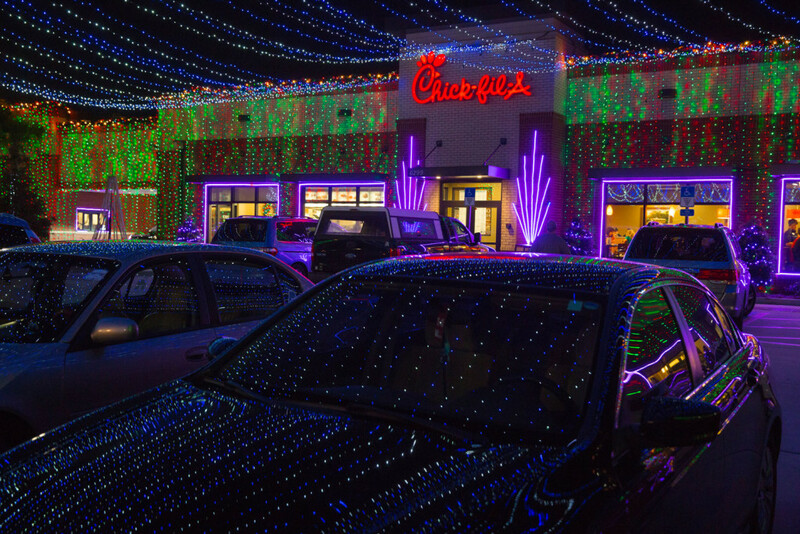 For visitors to the area who are just passing through, the restaurant’s display is a roadside marvel. 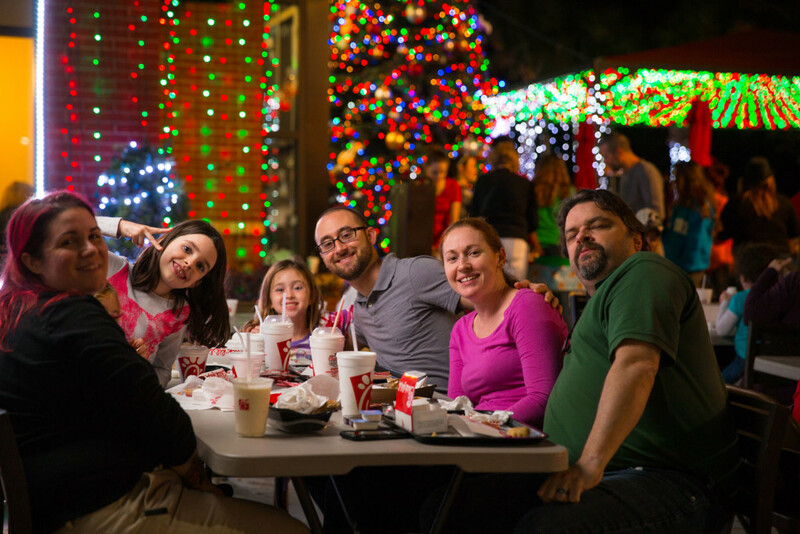 For those who call Tampa home, visiting the wonderland that is Chick-fil-A Waters Avenue is a family tradition. What guest hasn’t found him or herself craving Chick-n-Minis only to realize it’s past 10:30 in the morning? It’s a conundrum that has plagued thousands. Well, good news! 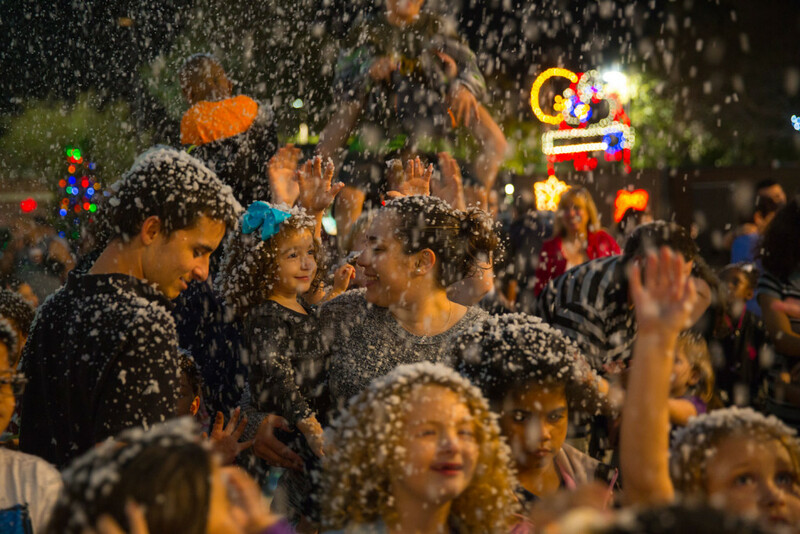 Those days are numbered in select cities!